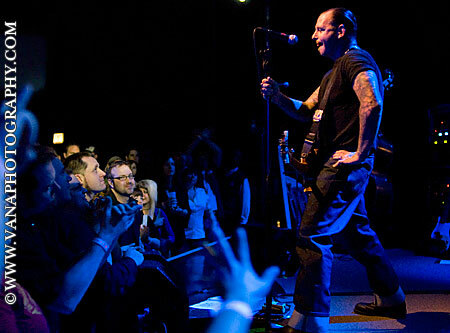 Last week Mike Ness, front man of Social Distortion, played two dates showcasing his solo material at Park West in Chicago. Ness’ set primarily consisted of material off his 1999 release Cheating at Solitaire and was highlighted with a few cover songs including a stripped down version of Social D’s “Ball and Chain”. His encore included “If You Leave Before Me”, “I Fought the Law”, and a last minute addition of “Ring of Fire”. Ness’ warm presence and heartfelt commentary made the evening feel like a group of friends sharing a drink and some tunes, as opposed to a concert with a musical icon who has 30 years of rocking under his belt. His ability to maintain this accessibility is a quality that draws fans to sell out his concerts time and time again. Chicago’s double performance is a reminder of how wonderful it is when an artist shows they have more then one trick up their sleeve. 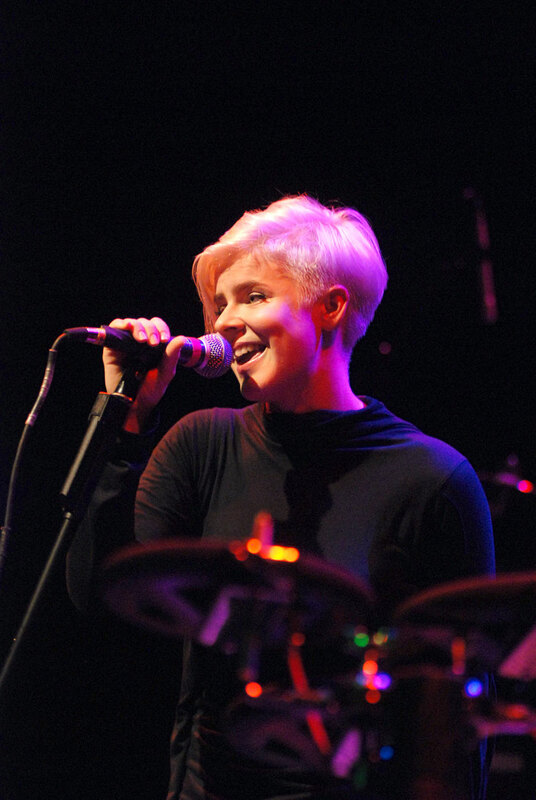 Although she’s been MIA from the US music scene for at least a decade, Swedish Pop songwriter and vocalist, Robyn, had plenty of fans come out to support her amazing first ever performance in Chicago at the Park West Wednesday night. Some of you may remember Robyn at the young age of 16 when she first came on to the scene with her signature blond bob cut and two infectious radio Pop hits, “Show Me Love” and “Do You Know (What It Takes)”. Ten years later it almost appears as if time has stood still for Robyn as she could almost pass for 16 today. One thing is for sure, she has left that bubblegum Pop sound behind for a fresher, more unique mash-up of electronica, hip-hop, R&B and New Age. The diversity of Robyn’s music was reflected in the makeup of the crowd at the Park West which came out to hear selection’s from her newest release simply titled “Robyn”. This album which contains many tracks that have been underground hits overseas for several years is the first album Robyn has released on her own record label Konichiwa Records. After the audience was treated to various dance selections from the opening DJ (who’s name I can’t print since this blog is PG-13), Robyn and her 3-piece band appeared on stage all dressed in black. She got the party started on the “good foot” launching into the infectious groove “Cobrastyle” which she recently rocked on the David Letterman Show. Robyn kept the party going with crowd favorites like “Who’s That Girl” and the clever self-promoting, in-your-face anthem “Konichiwa B****es”. She didn’t dissapoint as she moved back and forth across the stage keeping the party vibe on ten and getting the crowd involved on tracks like her current radio single “Handle Me” and her huge UK hit, “With Every Heartbeat”. My personal favorite moments during Wednesday’s show was when Robyn did the R&B-inspired “Crash & Burn Girl” and even threw in an extra treat with the Fyre Department remix of Snoop Dogg’s hit single “Sensual Seduction” which she is featured on. Robyn did take a moment to slow things down on the somber, yet beautiful “Eclipse”, but she picked things right back up with tracks like “Bum Like You”. After the crowd had been exhausted from dancing all night, Robyn returned to the stage for not one, but two encores…one of which she took it back to 1997 with a scaled down, more modern version of the song that started it all, “Show Me Love”. Robyn definitely made a new fan in me and although she’s been making hits overseas the past ten years, she didn’t miss a step on her re-introduction to The States.